Our Outdoor Classroom is finally done and it is beautiful! It fits naturally into our school yard and adds to the school environment. 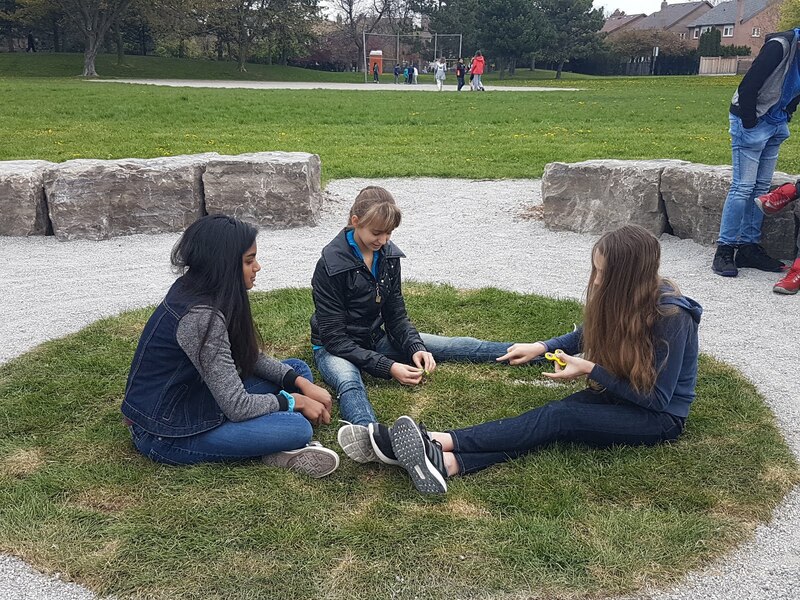 Our students are already using it as a favourite place to hang out and relax with their friends at recess now that the weather is starting to brighten up. 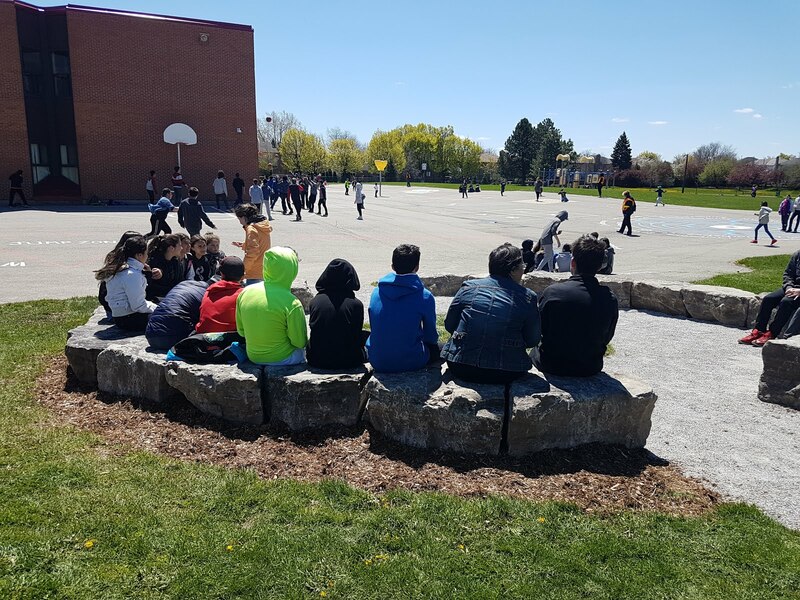 On May 18th it is Outdoor Classroom day and the official launch of our own Outdoor Classroom. Weather permitting, classes will be invited to go out and enjoy a variety of learning activities outdoors such as Math Trekking where teams are challenged to notice the math around us and to solve math problems outdoors. How many different types of angles do you see ie. acute, obtuse, right? Make a conjecture of how many primary aged children would fit around our Outdoor Classroom. Explain your reasoning. Make a conjecture of how many Intermediate aged children would fit around our Outdoor Classroom. Explain your reasoning. How many children do you think would fit into the middle circle of the Outdoor Classroom? Explain your reasoning. 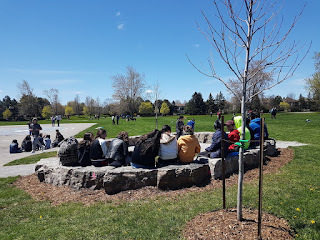 Estimate the circumference of our Outdoor Classroom. Explain your reasoning. Come up with your own questions as you look at the environment with "math eyes". You can also go for a "Signs of Spring" walk and point out the flowers growing, the tree buds coming out, the birds singing or bird nests sprouting. Nature is full of learning opportunities. Take advantage of your own outdoor classroom every time you go outside with your children. Enjoy!